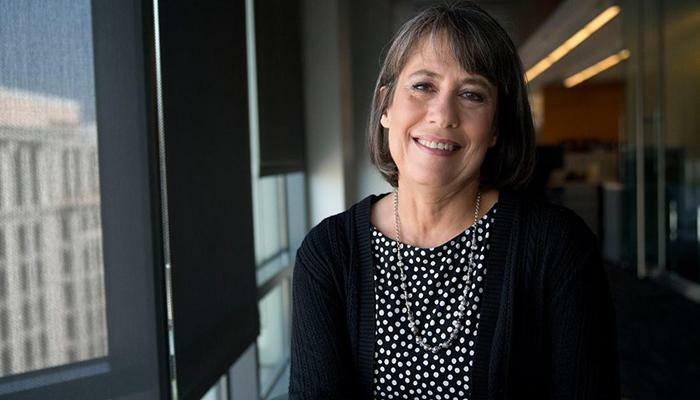 (My Eastern Shore MD) – Washington College President Sheila Bair will be the speaker for the final installment of the college’s Academy of Lifelong Learning Learn at Lunch Series on Tuesday, April 12. Bair’s talk will provide an update on access and affordability priorities announced in her September inaugural remarks. She will discuss the recent decision to freeze tuition for next year and she will report on the progress of George’s Brigade, a program to recruit and support an inaugural cohort of 20 high-ability students from low socio-economic backgrounds. In addition, Bair will make an announcement about the Dam the Debt initiative which seeks to reduce the amount of student debt held by graduating seniors. Bair became president of Washington College in August 2015 after a remarkable career in government and public service. She was appointed Chair of the Federal Deposit Insurance Corporation in 2006 and led the FDIC during one of the nation’s most challenging periods. She was awarded a John F. Kennedy Profile in Courage Award and Forbes twice named her the second most powerful woman in the world. Bair is the author of the best-selling “Bull by the Horns: Fighting to Save Main Street from Wall Street” and a book for younger readers, “Bullies of Wall Street.” She taught regulatory financial policy at the University of Massachusetts-Amherst for four years. She has an undergraduate and law degree from the University of Kansas. The public is invited to join members of the Academy of Lifelong Learning for a buffet luncheon and Bair’s presentation. The April 12 event begins at noon in the Hynson Lounge, located in Hodson Hall on campus. The cost for WC-All members is $15; non-members $20. Pre-paid reservations are required and must be received by Thursday, April 7. Make checks payable to WC-ALL and send to WC-ALL, 300 Washington Ave., Chestertown, MD 21620. Please include name, telephone number and email address. No telephone or email reservations can be accepted.